In my novel The Last Beginning, the main character Clove is going through a lot. She gets rejected after kissing her best friend Meg in the same week that she finds out she’s adopted. She relies on a sassy artificial intelligence called Spart for emotional support – and a girl from the future called Ella keeps interfering with her life and telling Clove that she’s her girlfriend. She’s having a pretty hard time of it, so I thought I’d recommend some books to help her chill out a little bit. More than anything, Clove just needs to relax. This sweet and cute lesbian rom-com, set in sunny Hollywood, will help her forget all her worries. For a little while, at least! Clove’s future girlfriend Ella is a Classics major, and as Clove is more into computer science, she doesn’t know much about Greek myths. This retelling of Achilles and Patroclus’ love story will give her a starter in all things Classical, to help her keep up with Ella. Clove’s adoptive parents, Tom and Jen, are both scientists working on building the world’s first time machine. 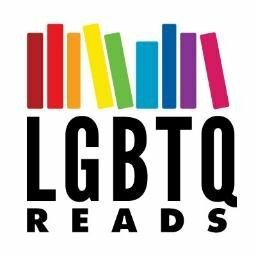 Clove has been listening to their discussions about time travel since she was a little girl, so she would feel right at home reading this gay love story set in a world where time can stop and start at will. In this book, Thaniel falls in love with Keita, a Japanese watchmaker with clairvoyant powers. Just like Ella, Keita has knowledge of his future relationship with Thaniel. I think this book would help Clove deal with the crazy frustrations of dating someone who thinks they know more about you than you do. Clove knits while she’s waiting for code to compile, and to calm her nerves. She also woos Ella by giving her a green scarf she makes – so this lesbian love story about girls meeting over yarn would be perfect for them both! In Radio Silence, British teenagers Frances and Aled are facing a breakdown of everything they thought they knew about themselves and what they wanted from life. Clove goes through something similar in The Last Beginning, so she would definitely relate. Ella is from the future, so she and Clove face the prospect of a long-distance relationship across several centuries. She would probably like this novel about the internet relationship between two girls, told through their messages and emails, just like the conversations between Clove and Ella. When Clove travels back in time to 1745, she feels the need to hide her sexuality, because she knows people will react badly if they found out she liked girls. In her time of 2054, sexuality isn’t an issue, and she proudly wears a rainbow wristband given to her by her dad Tom. She would probably find it comforting to read this historical novel about boys on a grand tour of Europe, which shows that there is a place for LGBT characters throughout history. When Clove kisses her best friend Meg and gets rejected, she feels like her life is over. She doesn’t think their friendship will ever survive Clove’s advances. She would love this graphic novel series about a group of freshman girls at a British university, whose tight knit friendship group constantly faces the strain of fighting over romance, school and sexuality – and survives. Clove would love all of these books, although she’s probably too busy to read them during The Last Beginning. I would apologise, but giving my characters tough things to deal with is one of the best parts of being a writer. Lauren James is the author of Young Adult science fiction, including The Next Together series and The Loneliest Girl in the Universe. The Last Beginning was published by Sky Pony Press in March. You can find her on Twitter at @Lauren_E_James, Tumblr at @laurenjames or her website http://www.laurenejames.co.uk, where you can subscribe to her newsletter to be kept up to date with her new releases and receive bonus content.